I knew this TCM Film Festival was going to be a brief one for me, as having a one-year-old daughter lessens ones flexibility considerably, even with a very considerate husband. My major goal was to find one thing that he and I could go to together since he was going to spend a lot of the rest of the time alone with our daughter while I galavanted off to watch movies. As soon as I looked at the schedule, it was clear which film that would be. We both name Touch of Evil as likely our favorite Orson Welles film (yes, over Citizen Kane), and have done so long before we even knew each other. The chance to see it at the TCL Chinese (no, I’m still not used to calling it that) in the version cut according to Orson Welles’ notes – it was just meant to be. Going to a movie at the TCM Film Festival when one of you has a pass and the other is depending on the standby line is something of a stressful situation, but thankfully we got there early and he got in fine. It was the first time I had been in the Chinese theatre since TCL bought and remodeled it, and I’m a bit ambivalent on the new look. The decor is as resplendent as ever, but it’s all stadium seating now, which results in some 230 fewer seats (though 900 seats is still a lot) and generally makes it feel much less communal than it did before. It’s still a great way to see a movie, but it didn’t feel as much like a classic movie palace experience. But I’m being nostalgic for a time I never knew. 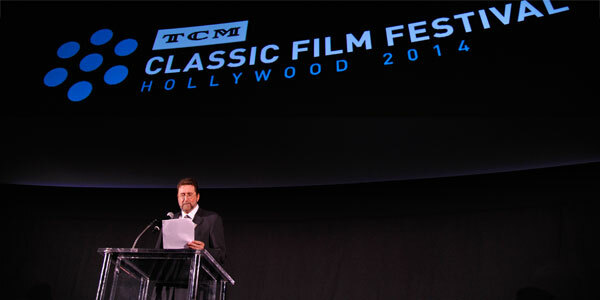 Fraser Heston reads the letter Welles sent his father Charlton Heston. 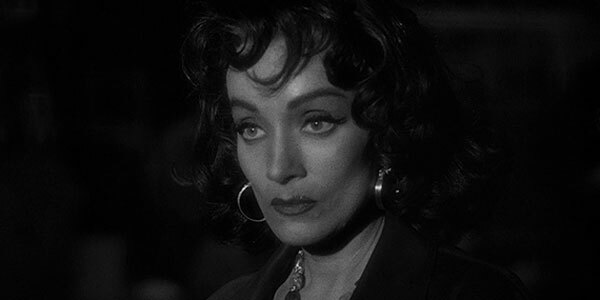 Touch of Evil itself is a film I haven’t seen for several years, and I remembered very little of it aside from the opening tracking shot. The version TCM screened does not have credits over that sequence, as the original theatrical cut did, which lets you really focus on how perfectly Welles works the camera through that scene, starting with the bomb in the car, following the car down the street, picking up Charlton Heston and Janet Leigh as they make their happy-go-lucky way to the border, letting the car pass them as they deal with the border guard, and on to the eventual explosion. It’s a marvelous way of building tension, since we know about the bomb and are just waiting for it to go off. Welles definitely had his Hitchcockian streak and this is a great display of that sense of suspense. After the explosion, Heston’s Mike Vargas, a Mexican police detective (yeah, I know), takes a personal interest because he fears that Mexico/Mexicans will be unfairly implicated due to the cross-border nature of the crime. He’s right to be concerned, because the police captain along this border is a piece of work named Hank Quinlan (Orson Welles), who’s as corrupt as the day is long. Vargas’ attempts to expose Quinlan run into trouble at every turn, from resistance from Quinlan’s diehard supporters to interference from the drug ring Vargas is investigating separately, to his wife (Janet Leigh) being used to try to keep Vargas quiet. Quinlan slips back into drink. The major thing that stood out to me on this viewing is just how unrepentantly sleazy and lurid the whole thing is. 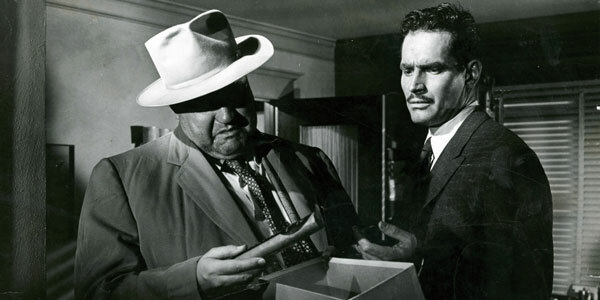 When Fraser Heston introduced the film at the festival (pulling out, among other things, the actual cover letter that Orson Welles wrote to Charlton Heston enclosing the memo with his plans to recut the film), he quoted an oft-mentioned assessment that while Touch of Evil may not be a great film, it is the greatest B-movie ever made. I can’t remember if he sourced that at the time; I couldn’t find a source in a quick Google just now. 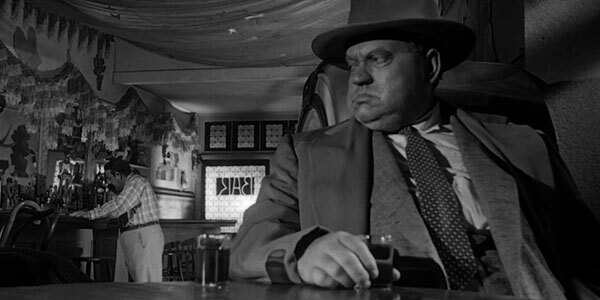 But anyway, it’s probably much easier now to consider Touch of Evil a great film than it would have been at the time, but it being a great B-movie in terms of tone and feel is absolutely true. It’s also fairly clear why it’s usually considered the last of the classic noir films – after diving into the depths of sleaze, filth, and human depravity like this film does (brilliantly and with gorgeous cinematography, I might add), there’s nowhere else to go but homage and parody. Classic film noir always has one foot in the grit – cynical tales about desperate men stepping off the straight and narrow for money, or a girl, or simple survival abound – but there’s usually an element of glamour or romance to it. Here any glamour is faded; glimpses remain in Marlene Dietrich’s Tana, owner of an empty bar with a tinny piano who once knew a different side of Quinlan. Here she barely recognizes him, initially taken aback by his bloodshot eyes and bloated gun. Quinlan speaks in a gravelly mumble, the voice of a man who’s seen too much, drank too hard, and has nothing to show for it but his falsely earned reputation on the police force. He’s the villain of the piece, yes, but there’s a backstory involving the death of Quinlan’s wife that’s never fully told, merely hinted at behind Quinlan’s eyes, in Tana’s reactions, and in his partner Pete’s unmitigated love for him. Vargas is ostensibly the hero, and Heston does a fine job playing him, however racially miscast he might be, but this movie belongs to Quinlan all the way.